1-Q is basically a Golden Cavendish blend from Lane but with a hint of Fire-Cured blended in provides scintillating taste and flavorful aroma. I absolutely LOVE this tabacco. 1-Q: it's my favorite pipe tobacco. I enjoy aromatics and this one is a fine smoke. Very mild flavor with a pleasant room note. Not goopy like some other aromatics. Burns well and only bites me when I puff. Definitely has a place in the rotation. 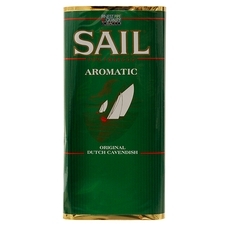 One of my favorite aromatic blends! It gets better with every bowl. 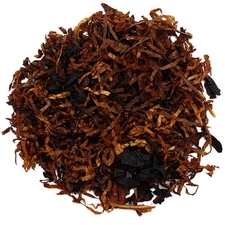 Clean and simple, cocoa toffee and vanilla, and toasted feel and easy on the nicotine. This blend has earned its place. It's the coca-cola classic of pipe tobacco, goes well with any event, and nearly everyone enjoys the simple flavour and aroma. It was mild for the most part. Half way through I started tasting nothing. Flavor just vanished. Didnt live up to the reviews imo. I dont see the hype with this one. Its good but its not great. i want to mix some of this with another tobacco (Dunhill Full english i think). I would get it again maybe if it was on sale or something. This has been my mainstay for years. No bite and a gentle sweet smoke with a hint of chocolate. Great stuff!! As aromatics go for me this is ok. I enjoy it very occasionally defiantly not my go to much prefer a mild English. But it smoked well and didn't get any tongue bite. If your into aromatics I could see this being a go to. This is a very light tasting blend. It is so mild that I will not order again. Uncommonly well rounded. Tin, room, and taste all wonderful. This is one of my go to Blends the other is Gawith & Hoggarth American Blend. I keep seeing these two Blends compared to each other. I can tell you and be honest their nothing alike. That being said 1-Q is still No.1 with me. If you only have one in your queue, make it 1-Q. I get a nice cocoa and vanilla flavor and the smoke is mild. It does what it does very well, though what it does is unremarkable. One of my favorites I keep in my jars for everyday use. This tin is headed for the Cellar. I try and keep more of this blend on hand than most of mine. It’s a great everyday tobacco. Sometime I’ll mix some of Lanes BCA with it. Love this as my everyday aromatic and anyone that is around while I smoke it loves it too. What a welcoming tobacco! The scents are wonderful and the smoke is smooth, this is the blend I smoke if I’m out walking on the sidewalk, or if I’m fishing for compliments. This blend is vey good. I will definitely be buying more of this goodness. I like Aromatics but this blend doesn't do much for me. The room note is decent, but there is little to taste. It strikes me as watered down tobacco and watered down casing. I grade it a C-. Whats there to say 1Q is classic blend!! would recommend to veterans and beginners alike! you cant go wrong with this one,stock up boys!! A good place to start. Boring for experienced smokers. If you like something not quite aromatic, but not quite Virginia, then this is probably going to meet the ticket. Great aromatic with a little tongue bite. I've tried many tobaccos, but this is my new favorite...I recommend it to everyone! Light flavor with a pleasant sweetness. No bite, but it did leave the bottom of the chamber pretty juicy. Perfect tobacco. Nice even smoke which holds its integrity til the end. This will become a normal go to. I really enjoyed 1-Q...I thought the mix of Cavendish was well suited for my taste and had a very nice room note. 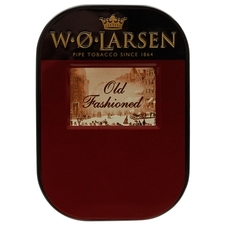 You would have no problems sharing this amongst friends as this easy and smooth smoke would be very agreeable to most. Great flavor, Little to no bite and smokes cool. One of the best aromatics out there. Very easy to light and keep lit. 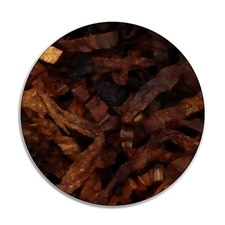 This is a great representation of Cavendish aromatic tobacco. Very few complaints at the price point, the flavor, or quality. Bought a pound of it based on the reviews here and have absolutely no complaints; I'll likely buy it again. This wonderful tobacco I can smoke all day,I'd eat it too.... no bite! My non smoking woman enjoys the smoke of my pipe with this one. Try it! If you're looking for something reasonably sweet to put in your pipe than this could be your stop. 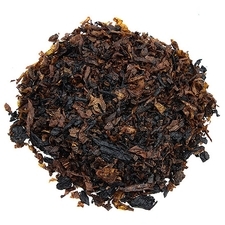 The Virginia is a bit mild in this blend and the Cavendish likes to compete with it, giving an alternately sweet and mild note. 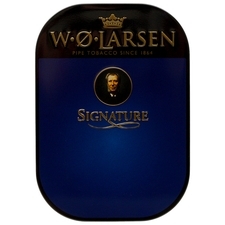 I can only compare this to one other tobacco (Irish Whisky) and 1-Q was more what I was after. Mellow smooth flavor and that ancient smell. I am sure I'll be smoking this one for a while. 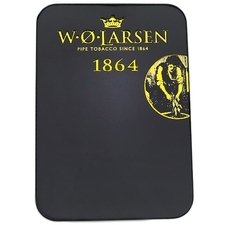 This is a must have for aromatic lovers, but also for other pipe smokers. Mild, tasty, cheap and never bite, I finally found my daily tobacco. I like that blend a lot, it is my daily smoke. The taste is smooth and pleasant. The tobacco is not strong but not weak either, just right in the middle. And of course you cannot beat the price. I like this one. I always keep a tin. Always get complimented from people around you. This was the first aromatic I tried as a new pipe hobbyist. Good stuff. I like it (MHO). I tried this for the first time while breaking in an unsmoked Vauen. This stuff is a treat to smoke. Mild flavor and burns wonderfully. This will definitely be ubiquitous in my rotation. Great for new pipe smokers too. 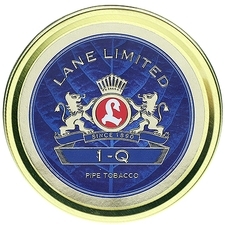 I have tried many different aromatic tabacco's but none smoke as good or TASTE as good as Lane 1-Q. It had a wonderful time note and to me tastes of pastry, like a cross between a croissant and a sweet danish, just delish!! 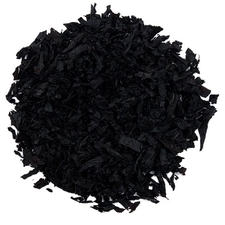 Easy aromatic blend to smoke on a regular basis. Little vanilla taste but smokes cool without a bite. Definitely worth a try! This is a pleasant smoke as is, and on more than one occasion I've blended it with blends I wasn't as much a fan of, just a touch can rescue an otherwise unfavorable blend. I recommended this during the hot summer weather. perfect sweet aroma. If you like sweet & aromatic with very little bite, then, this is for you. Packs easy, easy to light, and stays lit. A great all day, every day smoke. Give it a try, you'll be glad you did. 1Q is my fav. Nice aroma, no bite. OK but not as good as McClelland: TQ - Top Quality Gold & Toasted. All of Lanes product has changed over the years. This used to be sweeter tasting , now its kind of bland. Stokkebye Golden Dansk is better than this now. very nice aromatic with little to no bite. nice taste, nice room note. 1-Q has been my 2nd favorite aromatic for 20 years. A nice rich smooth taste with a delightful room note. First order, 1-Q was a definite hit! Mild, sweet, all day smoke! Loved it, definitely ordering again! This one is my must have in stocks!!! I tried it a couple times and I really loved it. I love this blend! It's quickly become my goto. Really subtle flavors of vanilla and a smooth taste. Would recommend for anyone who wants to try an aromatic that is not overwhelming and easy to smoke. I've heard a lot of good things about this tobacco, so I decided to give it a go. Honestly, it seems to me to be basically the same as Captain Black Gold, only without the bite. It's not bad, but I think I'll refrain from buying more. Ok, like Cap'n Black a drug store tobacco. Tough for me to keep lit, and a wet bunch of tobacco in the bottom of the bowl when I can no longer light it. But has a tendency too make my mouth dry. If you find a similar issue give Lane TK-6 a try. This is a good everyday smoke but in my opinion TK-6 is a 5 star bulk tobacco!!! 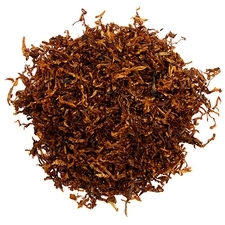 This is my favorite bulk tobacco that I can smoke regularly without breaking the bank. Smooth, sweet, and a room note that women have mistaken for cologne. this is mild and good smell. good. Excellent pouch aroma room note. Needs a bit of drying before smoking. Silky smooth smoke with a low nicotine content. Flavorful and even burning tobacco. This tobacco is a joy to smoke. One of my favorites now for summer time smoking pleasures. the leaf and burn quality is really good for this blend, but unfortunately for my palate there's really not much in the way of flavor. I get just hints here and there but more often than not, it's left me wanting. Im new to pipe smoking and this tobacco was exactly what I'm looking for, smooth no tongue bite with amazing aroma , no onè is complaining in the house . I've tried many different tobaccos, but I still come back to 1Q. No tongue bite, very smooth, easy to smoke all day. I like it so much I get it in 5 lb. bags to make sure I don't run out. I was wondering what all the hype was about reading reviews on this stuff. I ordered it and found out. This stuff is great. It's slightly creamy and incredibly smooth. I find it best in a larger bowled pipe. Enjoy! Smooth and sweet, but not overly sweet. Pleasure to smoke. The real surprise though...the many comments from the others around me. Constant good comments from friends and strangers. Great stuff! The first Lane I've tried. Great aroma and burns nice. Now one of my favorites! A must have for your rotation!!! This is what an everyday aromatic should be! This will remain in my rotation for a VERY long time. Great flavor! Excellent in every way! Smooth, sweet and mild. A good mellow smoke for any time of day or night. Not harsh to inhale and the aroma is very pleasant. Nothing too complex here just a solid smoke. Leaves a very nice taste in the mouth. Excellent for a long day and the blend is just right saving your mouth from the usual bite. Very nice smoke and reasonably priced. Ideal for those with sensitive mouths. WOW!! I love this one !! WOW IS ALL I CAN SAY FOR NOW . And many many smoking years later , I still be saying WOW!! L.L. Really nail it tis time ...!! The taste of this tobacco is anything but tobacco. It tastes like sugar casing and smokes incredibly, incredibly hot. If you like tongue bite and a bit a strange chemical after taste, this one is for you. Lane 1-Q is a very mellow smoke with some people saying, it has a slight vanilla aroma. I think it's light on the nicotine hit. Makes a good all day, regular smoke at a good price. A very nice and enjoyable smoke. Smoke it slow and you get nice sweet and creamy smoke. Tried 1-Q since it was a best seller and now I see why. Very pleasant, a real winner!! I like this flavor. I can enjoy to smoke everyday. I will keep to buy for my stocks.